There is a known legend that the Hawaiian god, Lono, came to the Hawaiian islands in human form and was described as "fair" or "white" skinned. He taught natives a better way of life and then left, but promised to return again on "floating islands." In 1770, British captain, James Cook, was rumored to have been mistaken as the second coming of Lono because his third voyage just happen to arrive at the Hawaiian shores during the Makahiki festival. A festival in honor of Lono. Whether Cook's mistaken identity was factual or not, I don't think it had much influence on his fate. Captain Cook had one of his small boats stolen during his visit. In an attempt to get his boat back, he kidnapped the King of Hawaii. That was proven to be a bad idea as Cook was then murdered by members of the King's court. Captain Cook was definitely not the return of Lono. So the legends stands, Lono is still set to return to the islands. I've compiled a list of similarities between the characteristics of extraterrestrials and the characteristics used to describe Lono. It might be just a coincidence, but the similarities are quite interesting. -Lono, in the Polynesian islands was known sometimes as Kanaloa, meaning the great light or great brightness. *UFOs are described in the sky as being extremely bright like the brightness of a star. -Lono was described as being fair skinned or white. 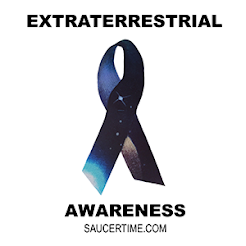 *Many extraterrestrials have been described as having pale, gray or ash toned skin and also there are the Tall Whites. -Henry Lyman, American Baptist missionary, wrote that Lono sends two messengers to Earth to find him a wife. When the messengers send word of their finding, Lono, accompanied by birds, descends on a rainbow down to Earth to marry his new bride. *This legend can be interpreted in many ways, but I think the main point to take note of, is that Lono is not living on Earth. He has to descend down to Earth! Which means, he clearly is an extraterrestrial. -After Lono's visit to Earth, he leaves, but promises to return on what some texts say as "floating islands." *Floating islands could be interpreted as UFOs. Today, ancient alien beliefs have significant influence on the Hawaiian islands. 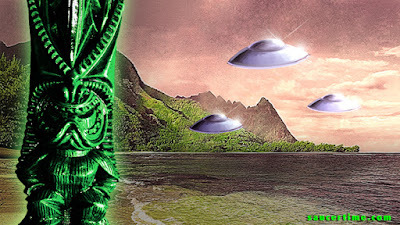 The reinstated Kingdom of Hawaii has officially dedicated a piece of land for peaceful UFO visitations called, The Hawaii Star Visitor Sanctuary. The declaration for the landing area mentions that according to Hawaiian legend, the Na Huihui o Makali'i (the constellation of Pleaides/Seven Sisters) is the place from which the first Hawaiian people came to Earth.